Maastricht. A small, enchanting city in the South of the Netherlands that immediately catches you with its charm. It’s the birthplace of the European Union and reachable from Brussels by train in less than two hours. On weekends you even get a 50% discount on train tickets. While it’s quite evident where to walk around, because the city is quite small, I want to give you a few tips where to eat and where to linger for a cup of coffee. “Café Sunday” is a place that you’ll pass when walking from the train station towards the city center. It’s a nice café and bar a few meters away from the big old bridge that connects the right and the left side of the river ‘Maas’ running through the city. Café Zondag is perfect to start into a sightseeing day with a nice cappuccino, a bagel with smoked salmon, cream cheese and fresh herbs as well as toasted banana bread with melted butter. I’m a big fan of books and bookstores and even more of this place. This bookstore is located in an old church (700 years), where bookshelves rise up to the ceiling. The selection is quite big with not only Dutch books lying in the shelves, but also in several other languages. In case you decide to buy a book take it to the back of the church and sit down at coffeelovers, a little coffee place that offers seating with a view on the whole store. Got hungry? 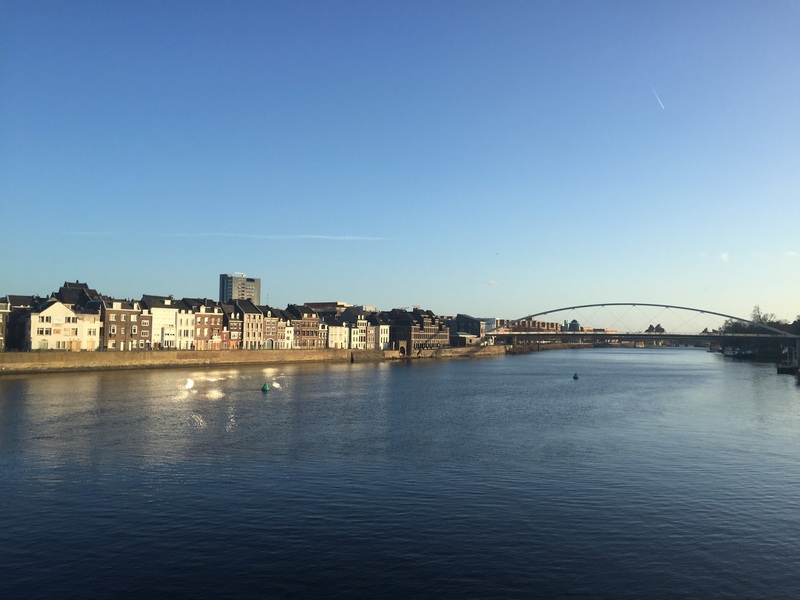 Maastricht is a city with a lot of Michelin-star restaurants. If you’re looking for something simpler, Dutch and more relaxed (and slightly less pricy) you should try Café Sjiek. A nice traditional restaurant, decorated in a rustic way with a big, massive, dark wooden bar facing the entrance and dark wooden chairs, benches and tables inside. You’ll find the traditional ‘zoervleis’ a traditional horse stew served with thick Dutch fries and apple compot, guniea fowl in an apricot sauce or seafood. They also have a nice selection of wines and even a self-produced house wine. They don’t take reservations, but in case you’ll have to wait for half an hour just sit at the bar and be patient. The people working here are very nice and attentive. Not to come back to Brussels empty-handed you should make a stop at Le Salonard a few metres away from Café Sjiek. This little, cosy shop sells fresh bread, cheeses, salami, honey, special mayonnaises, jams and other gems that you can bring home and enjoy back in Brussels.